Last month I attended the conference of the North American Passive House Network in New York City. They had a really nice trade show, and I got to spend some time talking to the vendors. It's always nice to see what's going at these events because I'm starting to come around to Joe Lstiburek's way of thinking. At the 2013 Building Science Summer Camp, he said, "Passive House is the only place where real innovation is happening." 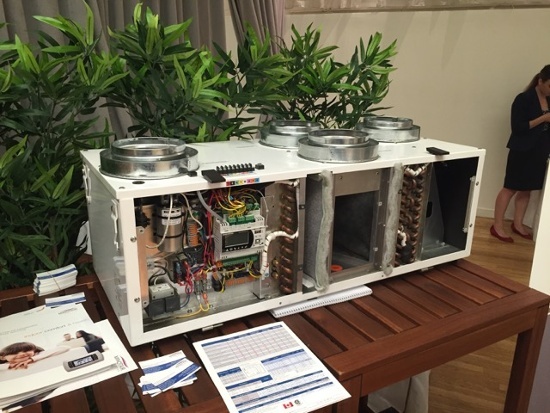 Here are the three products that most caught my eye at the NAPHN passive house conference. 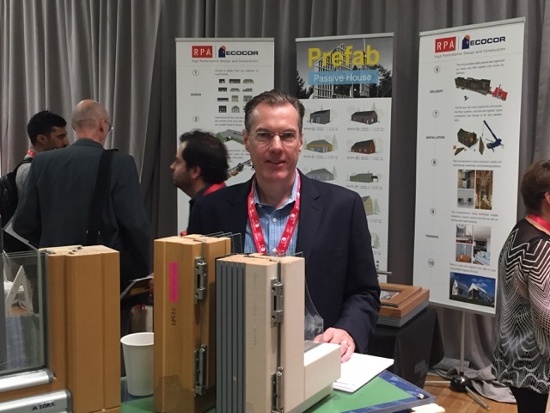 I always enjoy catching up with my friend Richard Pedranti at the North American Passive House Conference hosted by PHIUS, and he was at the NAPHN event promoting his new project: Prefab Passive House. This is panelized construction that will meet passive house certification requirements through either PHIUS or PHI. Pedranti has designed all the models and Maine builder Chris Corson does the fabrication through his company Ecocor. They ship panels for each of their eleven designs to anywhere in the US. The website doesn't say, but since they're so close to Canada, I imagine they'll ship there as well. Pedranti will be at the North American Passive House Conference in Philly this September and will be giving a presentation on this new project. 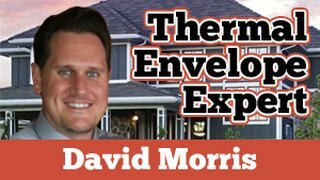 Ventilating multifamily projects is difficult. OK, it's not difficult. It's just that most people want to do it on the cheap, and they get systems that don't work. Pressurized corridors, for example, are notoriously bad. Exhaust-only ventilation also doesn't work. And the more airtight the building — which happens to be one of the main goals of passive house — the worse they work. Now Zehnder has a new product that solves the problem. 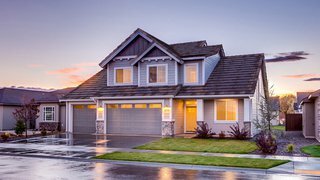 It's a balanced ventilation system called the Comfoair 70 and you put one in each unit. 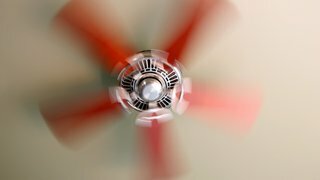 These energy recovery ventilators have a really high efficiency and, as you can see in the photo above, can be used in really thick walls. 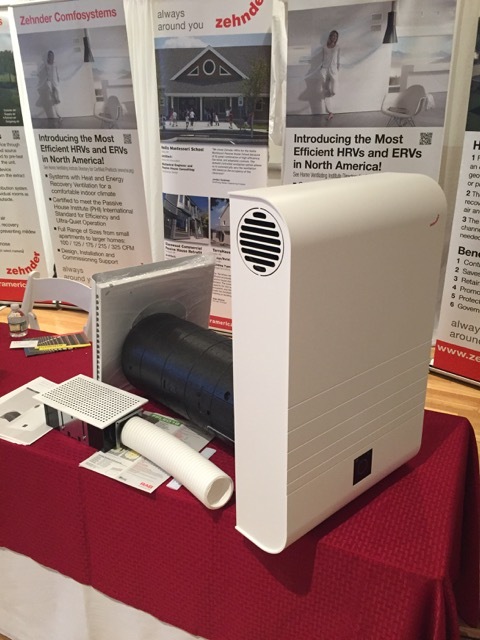 Zehnder will also be at the North American Passive House Conference in Philly this September. Come to the conference and get a firsthand look. 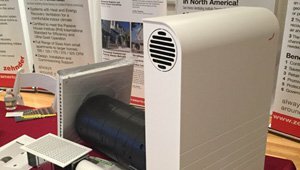 Finally, I stopped by the Minotair booth and talked to them about their "magic box," a device that does heating, cooling, ventilation, and dehumidification. Unfortunately, it does't make julienne fries. Martin Holladay has covered the magic box in his Green Building Advisor blog, and has even written about the Minotair. If you're steeped in North American passive house knowledge, you know the reason for the two conferences and the two organizations. If not, let me try to explain. The PassivHaus Institut (PHI) in Germany created the Passivhaus standard. Kat Klingenberg, an architect from Germany brought it to North America and built the first certified passivhaus here in 2002. She also started the Passive House Institute US (PHIUS). In 2012 PHIUS and PHI split. A group in the US that wanted to stay aligned with the PHI created the North American Passive House Network (NAPHN). It was the NAPHN conference I went to in New York. The North American Passive House Conference (NAPHC) has been hosted by PHIUS since 2006 and is in Philadelphia in September. Got that? There's a lot more to it than that, but that's for other articles, perhaps. For now, if you're interested in passive house, sign up for the NAPHC in Philly. It's going to be amazing this year! If you're lucky, you might even be the recipient of Joe Lstiburek's generosity. He likes to buy drinks for people at this conference.